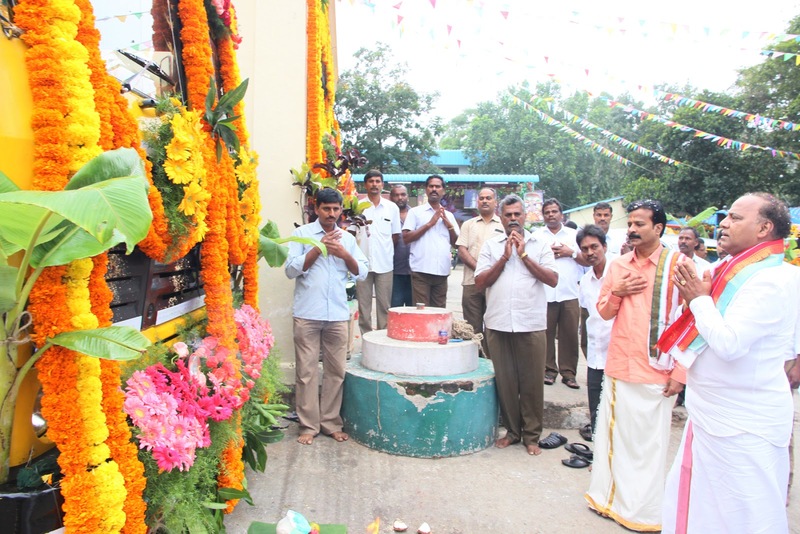 Tirumala, 4 November 2018: Ayudha Puja was performed in the Transport work in Tirumala on Sunday. Tirumala JEO KS Sreenivasa Raju who took part in this fete complimented the impeccable services of the department under the supervision of GM Transport Sesha Reddy. He also lauded TTD drivers for incident free driving in ghat roads especially during special occasions. "The Auto Clinic services, dharma rathams etc. are also doing good service to pilgrim public. Maintain the same spirit in future too", he wished the staffs. DI Tirumala Bhaskar Naidu and other office staffs, drivers, mechanics also took part.